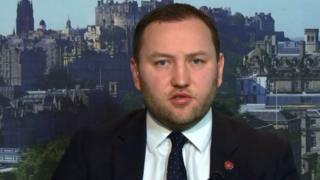 Edinburgh South MP Ian Murray does not intend to join colleagues by leaving the Labour Party, BBC Scotland understands. 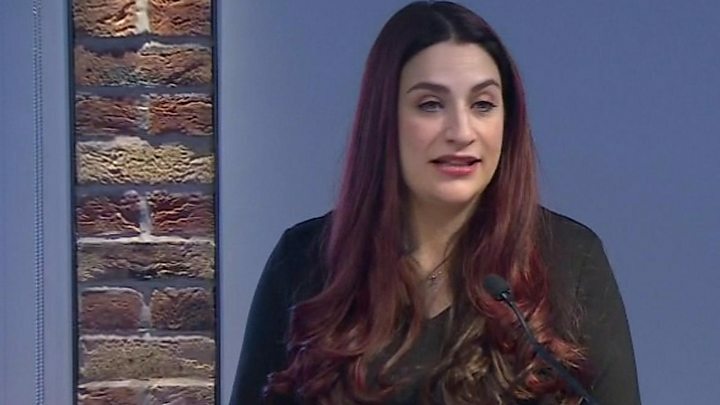 Seven MPs have quit Labour in protest at the party's approach to Brexit and anti-Semitism under Jeremy Corbyn, and will now sit as an "independent group". Mr Murray said Mr Corbyn should "listen and learn and decide if he wants to keep the Labour Party together". However, he also said Labour was "the only vehicle" for change in the UK. Seven MPs - Chuka Umunna, Luciana Berger, Chris Leslie, Angela Smith, Mike Gapes, Gavin Shuker and Ann Coffey - announced on Monday morning that they were quitting Labour in protest at Mr Corbyn's approach to Brexit and anti-Semitism. They will now sit as an "independent group", but have stopped short of forming a new political party - for now. Mr Corbyn said he was "disappointed" about the move, saying that "now more than ever is the time to bring people together to build a better future for us all". Mr Umunna urged MPs from other parties to join them, saying that "politics is broken, it doesn't have to be this way - let's change it". None of Labour's seven Scottish MPs are expected to join the breakaway, despite Mr Murray's criticism of Mr Corbyn's leadership. Mr Murray - who won Edinburgh South in 2017 with the largest majority in Scotland, of more than 32% - said it was "a sad day for Labour and for me personally". He said: "The current Labour leadership is breaking the broad church that this party once built its electoral success upon - a broad church which delivered Labour governments that lifted millions and millions of people out of poverty. "The challenge now is for Jeremy Corbyn to listen and learn, and decide if he wants to keep the Labour Party together or if he will continue to foster a culture of bullying and intolerance where his own MPs feel unwelcome and are being forced out." However, hinting that he will stay in the party, Mr Murray added: "If we work together, our party can be the greatest vehicle for change in this country. It's the only vehicle. "Jeremy Corbyn must now decide if he wants to lead a party for the many or continue to restrict it to a party of the few." Scottish Labour leader Richard Leonard, who supports the left-wing leadership of Mr Corbyn, expressed his disappointment at the resignations. He said: "I am of course disappointed that these MPs have decided to leave the Labour Party, but today's events will not deter us from our mission of working to achieve real and lasting change here in Scotland, and as part of the wider effort to change the UK." He added that the resignations would "simply mean that we will all redouble our efforts to achieve a better and more equal society based on those lasting values". Mr Corbyn issued a statement shortly after the group announced its departure from Labour, saying this was a time to pull together. Meanwhile, former Scottish Labour leader Kezia Dugdale said she was "genuinely very sad" about the resignations. She told BBC Scotland: "I see seven individuals at their wits' end, all with individual reasons why they're leaving. I know they'll all be doing it with a great sense of sadness, and that's deeply regrettable, because the Labour Party wins when it's a broad church."